When you think of Mexico you instantly dream of white sandy shores and clear blue waters. Two stunningly, diverse regions Puerto Vallarta and Riviera Nayarit are nestled along the Pacific Coast and offer the opportunity to explore the finest beaches you could ever envision as well as wildlife, gastronomy and culture. The best of Mexico, all in one place! You can guarantee picture-perfect shorelines in both areas thanks to the recent accolade handed out by the Instituto Mexicano de Normalización y Certificación. This Pacific region has recently taken the lead in pristine coastline destinations in Mexico with 13 (3 in Puerto Vallarta & 10 in Riviera Nayarit) out of a total 31 certifications. And if that isn’t enough to persuade you that the coastline is getting attention for all the right reasons, Playa Palmares in Puerto Vallarta and Nuevo Vallarta North in Riviera Nayarit have both been awarded Blue Flag status. Alongside the epic beaches including Banderas Bay -the seventh largest bay in the world, where the two regions meet- the destination revels in natural wonders and is known for the teaming wildlife. From turtle hatching to learning about the 22 species of Mexican birds and whale watching, there’s plenty to discover. Ready to visit? Check out the top beach destinations on the Pacific Coast, which are jam-packed full of activities, as well as offering breathtaking views across to the ocean. Wander along the breathtaking stretch of sand at this Blue Flag-certified beach of Playa Palmares and bask under the palm tree-lined shade, all whilst gazing out to the vast ocean. It’s quite the view! 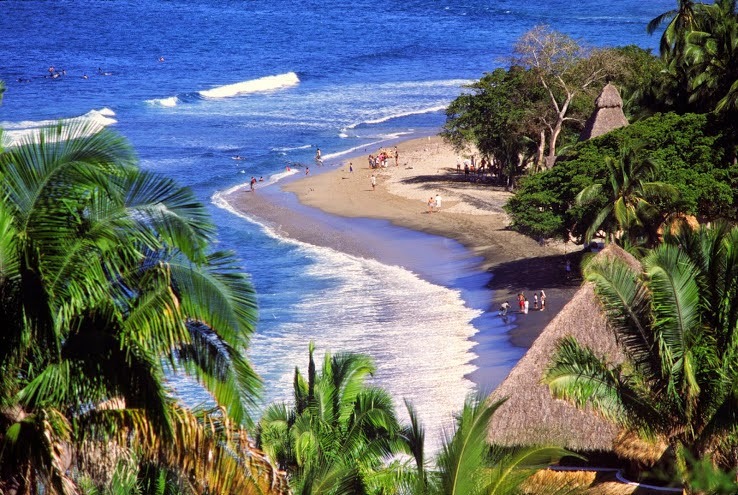 Named after the abundance of crustaceans that inhabit the beach, certified Los Camarones beach stretches from the Rio Cuale north along the Malecon and boasts stunning views. The clean stretch of sandy beach is home to a sea turtle protective reservoir. The pristine white sand is framed with palms and crystal clear water that lap the shoreline. With spectacular views out to Sierra Madre, the certified Garza Blanca beach offers spectacular natural landscape and a variety of water activities for those seeking to release their inner adrenaline junkie. The Blue Flag beach destination in Riviera Nayarit, Nuevo Vallarta North is a three mile stretch of pure white sand and clear waters. Lining the shore is luxurious 5* resorts and if you venture a little further afield, you’ll find world class golf courses and a beautiful marina. Stay in one of the charming nearby boutique hotels for full-on pampering and spa treatments, before you enjoy a spot of surfing at this gorgeous beach of Riviera Nayarit´s hippie chic town. Get your binoculars out and prepare to indulge in a spot of bird-watching at Chacala beach thanks to the large variety of birds such as pelicans and herons. In 2002, Chacala was named a Gallery Town and photographs of the 22 species of Mexican birds can be found here.